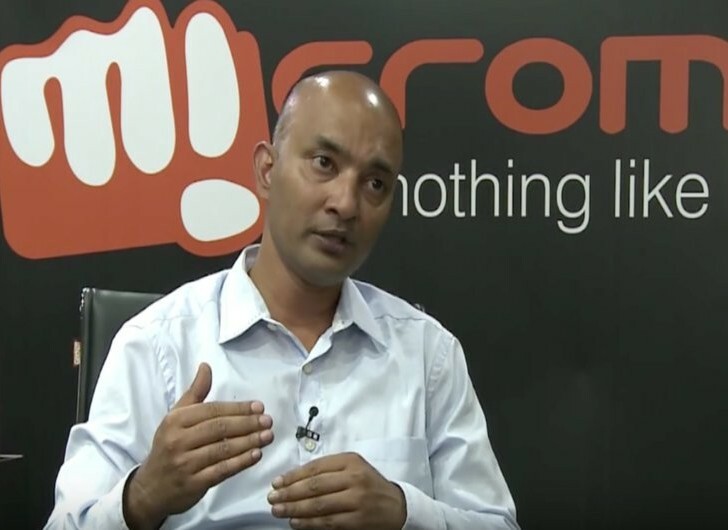 2015 has been the year of ups and downs for India’s second-largest phone manufacturer Micromax. South Korean technology giant Samsung continued to lead the Indian smartphone market during the calendar year 2015, according to a report by research agency IDC. Micromax in second position with 14.1% market share, got a new CMO in Shubhajit Sen early 2015, and mid last year launched Hugh Jackman as its global ambassador. Hugh was seen promoting Canvas Sliver 5, touted as ‘the slimmest phone ever’. The objective was to position the gadget as a premium offering for the up-market and urban youth. The campaign targeted youngsters (15-25) from the top 20-30 cities projecting itself as a premium smartphone brand. Thereafter the brand expanded its wings into Sri Lanka, Nepal and Bangladesh. Recently Micromax announced it is the third largest phone company in Russia, just a year after its debut. Looking back at Micromax campaigns they have always been handset specific with a very short ad shelf life. Nonetheless, earlier in 2016, Micromax announced that it has appointed CLA as its creative agency on record. CLA will handle the entire integrated design and communication mandate for Micromax globally. The mandate was won following a multi-agency pitch held last month. The company further stated that in its next phase of growth CLA’s Mumbai and Delhi offices would handle the account. The agency is also putting together a global design team from Amsterdam and New York to work on the mandate. In its first phase of growth Micromax wanted to replicate itself with the phone present in every Indian household. Remember the Bolt campaign that was priced between Rs 2,000 and Rs 6,000. For this, it had launched a 360-degree campaign, and had roped in Kapil Sharma and Rana Daggubati as brand endorsers. However the new growth phase will be all about providing solutions to the consumers using their phones. “At Micromax, our emphasis would be to drive innovations through software and services that would add a layer to the device eco-system. We will be aiming to develop products & services which not only enhance & upgrade the life of the consumers but also empower them with the latest technological innovations, making it an extension of their lifestyle,” Shubhajit informed in an email conversation with Lighthouse Insights. So far, Micromax has been the perfect ‘challenger brand’. But today, it has pulled out and defined many of the market characteristics. Hence, the brief given to the participating agencies comprised real-life challenges to build the growth strategy as the company gets into the next phase of growth. “CLA demonstrated great understanding and passion along with a clear vision and articulation for the way forward,” he revealed. Founded in 2007 by Sajan Raj Kurup, CLA has handled brands such as Cinthol, MTS, CCD, Frooti, The Indian Express, among others. Sajan thinks that it is perhaps the most exciting product category to be associated with anywhere in the world right now, but hesitated to reveal anything on the kind of work it wishes to do for Micromax. For this Micromax is placing its trust on CLA’s creative excellence to help enhance consumer connect and create such campaigns. For this CLA has placed a global design team in New York and Amsterdam, is looking beyond brands and identities alone and venturing into different horizons of design. “Micromax is a global company with presence in SAARC and Eastern Europe. And that is just the beginning. Therefore, a design team that thinks global and thinks of how design will work across touch points in some of these markets (and some future markets) has been created,” Sajan added. However it all depends on what the communication is rather than a global design team, at a time when Micromax has already used global ambassadors like Hugh in its earlier communications. “The challenge to make their brand more international is lot less and now it’s the product that will be their biggest champion,” Carlton pointed out. The communication of the campaign was in a very tongue-in-cheek manner, talked about Micromax’s differentiators that came with switching to the Micromax Bolt Smartphone range, such as – free data for use on WhatsApp, regional languages, affordability and big screen. The campaign was leveraged extremely well digitally, recollected Shubhajit. 2016 will be a defining year for Micromax, not only will it have to show tough resistance to the Chinese competition, it will need to earn market confidence too. Recently Micromax CEO Vineet Taneja had to quit amid falling sales. This is the second high-profile departure within a year, as the business grapples with falling sales in the face of competition from cheaper Chinese handsets. While the old horses return to the base (Shubhodip Pal returns as COO) all eyes will be on Micromax’s next growth phase that would be driven by CLA’s global team. The coming months will tell how fruitful has been Micromax’s decision in placing its confidence in an independent agency like CLA.